Since 2001, Mosquito Shield has been providing residential and commercial customers with professional mosquito and tick control services, and achieving industry-leading results. In fact, 87.4% of our corporate location customers request repeat service, year after year. Effective, proven marketing strategies: Over the years, Mosquito Shield has spent significant time and money developing and refining our marketing approach. In-depth customer analytics and targeting strategies: With in-depth customer profiling and years of data collection, we are able to get a better ROI to help you grow your franchise efficiently and effectively. 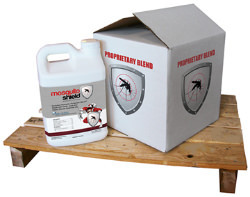 Exclusive, specially formulated Mosquito Protection Blend™: In this business, you are only as good as your results. And we back our products with a 100% satisfaction guarantee! Tested and perfected treatment methodology: We have applied more than 12 years of real-world research and development, to fine-tune the scheduling and application of residential treatments and achieve real results. Dynamic marketing and advertising material: Mosquito Shield has the in-house marketing experience to help you successfully grow your business. We work with proven partners for marketing, communications, Web design, and multimedia production. Innovation: Mosquito Shield will continue to be an innovator; from creating additional revenue streams like Tick Shield, to defining our mosquito management approach and technique, Mosquito Shield understands what it takes to stay ahead of the competition and win in the home service business. State of the art technologies for accounting and customer management: Mosquito Shield doesn't use off-the-shelf industry software. Our Accounting and Routing Management Software (ARMS) 1.0 has mobile capabilities, with route optimization, GPS navigation, and direct-entry data collection right from your service vehicle. Unparalleled support from a management team with hands-on experience: With over 20 years of experience as a multi-unit franchisee, David Briggs knows and understands franchise needs and how to build and grow a successful business. He has surrounded himself with experienced personnel with the same desire to help our franchisees to grow and be successful. The Mosquito Shield franchise opportunity allows you to bring a unique, exciting business approach and guaranteed customer results to a new and rapidly growing market. Year over year, more than 87% of our customers who sign on for a full season of service renew with us for the following season. Nearly 60% of customers surveyed say that they have recommended Mosquito Shield to their family and friends. Mosquito Shield's North Attleboro corporate-owned location has added 6 service vehicles in the past two years to accommodate constantly growing customer demand. By developing relationships with our manufacturers and distribution partners, the cost of equipment and Mosquito Shield's approved products is under 7% of the franchise operating budget. This is your chance to start building a very rewarding future. 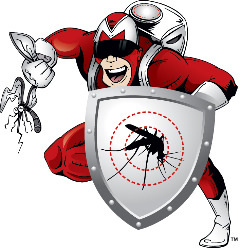 Find out more about the exciting Mosquito Shield pest control franchise program today! Mosquito Shield is currently accepting inquiries from the following states: Vermont, Virginia, Rhode Island, Pennsylvania, New York, New Jersey, New Hampshire, Maine, Massachusetts, Delaware, Connecticut. Interested parties should have at least $40,000 in liquid capital to invest.